Here is the quiz taken by Red Circle members on the Adventure of the Evening. 1. What Egyptian ruler is mentioned in the story, not once, but twice? 2. Name three animals mentioned in the story. 3. What collective term for an animal is mentioned in the story? 4. How many varieties of tobacco ash were included in Sherlock Holmes' monograph? 5. Who will take care of Watson's patients if he accompanies Holmes on the case? 6. What type of hat was Holmes wearing at Paddington Station? 7. What newspapers had Watson be reading lately? 8. What two authors did Holmes speak of in the story? 9. What gambling game in mentioned in the story? 2. There are seven; any three will score: a rat; a mole ("a mole could trace it"); a rabbit (the rabbit warren); a ferret (Lestrade was described as ferret-like); a buffalo ("a herd of buffalo"); a dog (Holmes "ran round, like a dog who is picking up a scent"); and a fly (James McCarthy was "too tender to hurt a fly"). 3. A litter (Holmes disposes of "an immense litter of papers"). 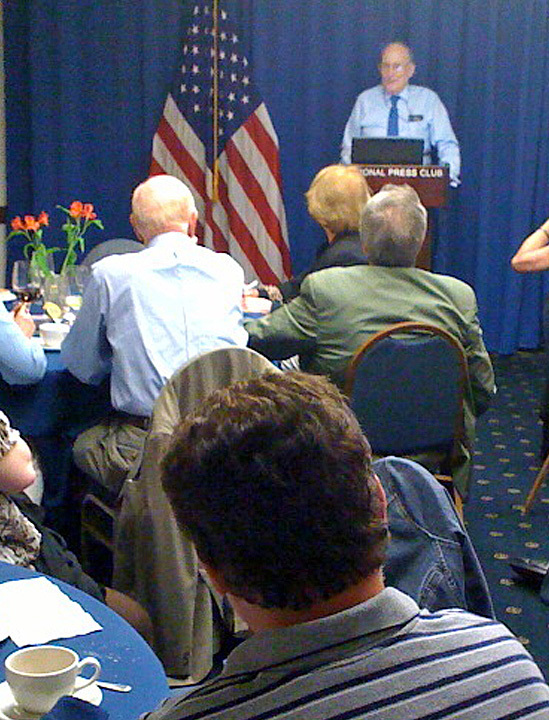 The Washington National Press Club's Edward R. Murrow Room was again the scene of the Red Circle's quarterly dinner and laugh-fest. Sherlockians assembled to celebrate the beginning of summer and the ever-growing popularity of the two men who can never die. Peter Blau assumed his customary role as ringmaster while new and veteran members alike enjoyed a delightful evening. First on the agenda after dinner was the twice-postponed quiz on "The Boscombe Valley Mystery." The semi-diabolical questions are at the right, with the answers below. Sarah Rosenbaum had the highest score and won the least trivial of the traditionally trivial prizes. Our guest speaker was Lynn Whitall, the Gasogene of our mid-Atlantic sister society, The Naval Treaty of Annapolis. We are obliged to report that Lynn came to us under somewhat false pretenses. While her talk promised to expound on her recent forays into academia, she instead regaled us with a project of an entirely different kind. The lucky folks in attendance heard the details of this contemporary Waterloo (and we don't mean the train station). Lynn asked that we not bust the secret of the project here, and we agreed to follow her wishes to the letter. If you want the details of her talk, please consult posthaste with a Red Circle member who heard it. 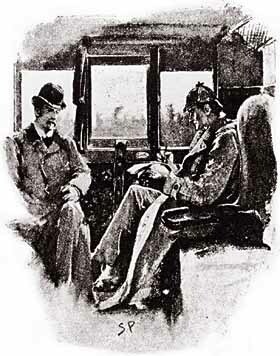 The meeting also featured ad hoc reports of Sherlockian activities, which offered further proof that Holmes and Watson endure across generations. It is gratifying that, despite curmudgeonly misgivings voiced by a very few devotees "of a certain age," more and more Sherlockians are being hatched every day, and their enthusiasm is both delightful and infectious. Case in point: New member Nina Fiore reported on a recent trip to London that she took with her teenage daughter, Elena. The visit turned into a Sherlockian quest, with Elena setting off to visit her personal list of Canonical and post-Canonical locations, including a sharp-eyed survey of Bart's Hospital. Young Stamford was not to be seen, but the roof provided ample opportunity for speculation about the exact spot where Benedict Cumberbatch's Sherlock departed for the sidewalk below. A video was made, which has been promised for viewing here. . .after summer camp is over! 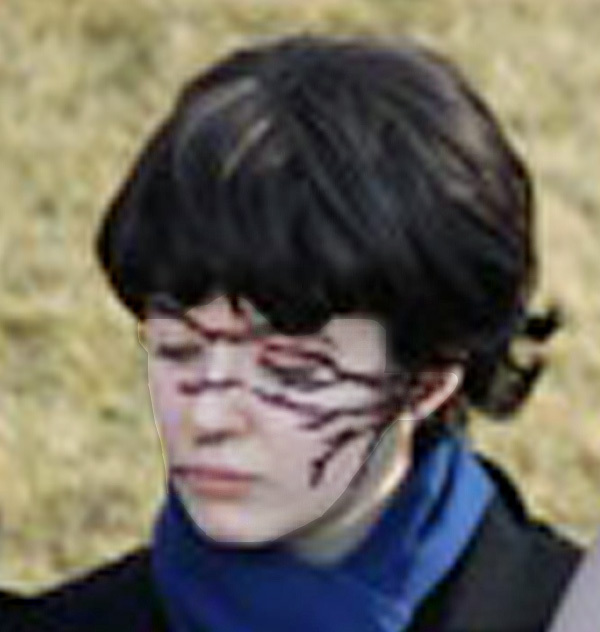 And, Elena means to join Nina at the next Red Circle meeting. We look forward to welcoming her. 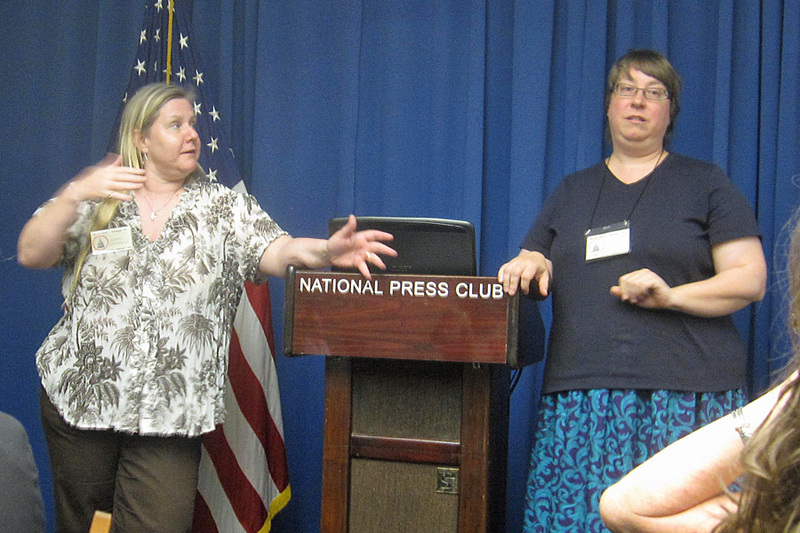 Nina was followed by the trio of Cindy Coppock, Nea Dodson and Lynne Stephens who reported on the first annual 221B Con in Atlanta this past April. The two-day event surveyed Holmes from every era and many points of view, but the most astounding news is the attendance. Organizers expected between 75 and 100 people, but when the dust settled 643 had walked through the door! The event will be held in a much larger venue in 2014. 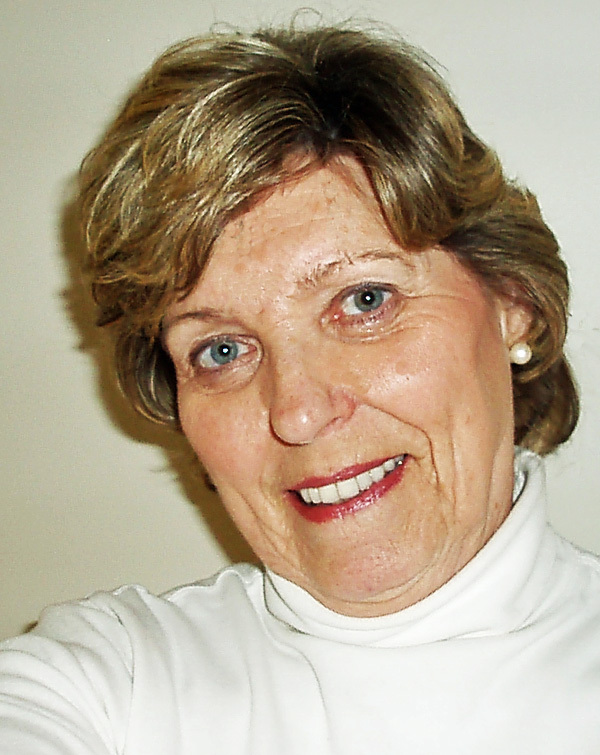 Lynne Stephens has graciously prepared a written report on the doings for The Red Circle, and we happily present it in our Writings section. It's well worth a read, and you can find it here. In addition, you may want to visit 221B Con's website here. With thanks to all who participated in the Red Circle's lively summer meeting, we look forward to continuing the fun in September.